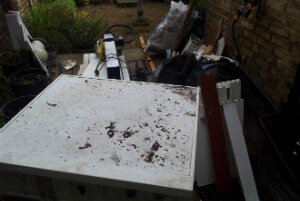 Home & Office Junk Removal Fulham W | Quality Property Care Ltd.
We’ve worked in Fulham W for 10 years now and are sure our team can help you with your expert commercial or domestic junk removal. Get in touch with 020 3746 4287 for the best rubbish removal in the place and get your money’s worth every time. We perform inside the children’s room, bedroom, living room garden, hallway and kitchem. We can safely and securely remove and dispose of bedside tables, beds, wardrobes dressing tables, ,mattresses, chests or drawers,, sofas and armchairs, living room storage, coffee and side tables, TV stands and cabinets, console tables, shelving units, cot beds, , bunk beds, playgrounds, bunk beds,wardrobes, desk and chairs. In the kitchen we remove dining tables, stools and benches, dining chairs, umbrella, racks and stands, barbecues, shoe cabinets, hoods and hangers, wall shelves, baskets, portmanteaus. There are household items like fridges, freezers, fridges and etc. that need special disposal and have extra fees attached to them. While on the phone be sure to mention that type of sofa we are taking out as this will help us figure out how many men and what equipment to bring. We prefer that you bag the items before we come, however, it is not necessary as our crew can do that as well. Starting with single mattresses, ovens, tables, washing machines, double mattress, divan beds, dryers,cupboards, TVs, PC monitors Kitchen units, armchairs, single beds, fridges, TV stands,, freezer, book shelves, mirrors, 2 seated sofa, double bed, carpets, 3 seat sofas, king sized bed, microwave, wardrobes and bathtubs. These are just to name a few. Items like tires, macrowabes and TVs are charged extra as they require a special disposal approach to ensure their safe removal and recycling. Quality Property Care Ltd. top-notched professional rubbish removal company is there for you despite the type of rubbish you have. We do gather all kinds of rubbish apart from for building materials, drugs and foods leftovers. Rubbish service in Fulham W is optimized in a new innovative modern way to meet your needs without even bothering or making you stand from your armchair. 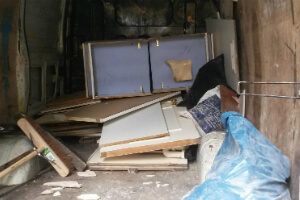 Contact us 020 3746 4287 anytime you want professional junk and rubbish removal from your property. We work fast and efficiently, dealing with loads of all sizes from large to small ones. Contact us at any time of the day or evening, you will get proper information on our details, pricing about the removal etc. Our staff is available free of cost, with booking form availability. Phone call and save not only time, but also cash and efforts.